If you are not yet Thriving, now's a great time to start! When you begin a new membership during the month of January, we'll discount the initiation fee by half (normally $50/individual or $75/couple) and if you pay for 2 months dues, you'll receive your 3rd month FREE! 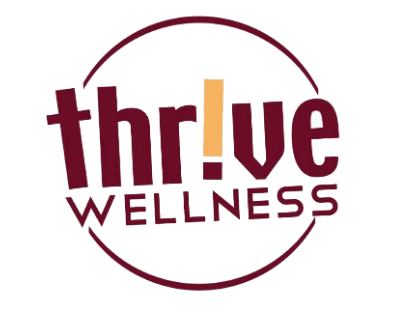 Thrive Wellness has personal trainers anxious to assist you (included in your membership), a new work out program each month and NO contracts! We want to earn your business each month. Come in and see the Thrive difference!